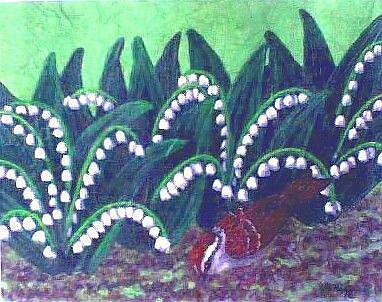 This chipping sparrow looks for dinner beside a row of lily of the valley. The flowers remind me of the place I lived in as a teenager, patches of them brightened dark corners by the house. The smell was lovely, too.